This tool is to download or copy websites that are currently online. The free version has a limit of 10MB. If you want to scrape historic websites, then use our other tool to download website from the Wayback Machine. This free tool downloads all files from a website that is currently available online. The free version has a limit of 10MB. To cover costs for bandwidth and disk space, we ask a fee for larger websites. Our website downloader is an online web crawler, which allows you to download complete websites, without installing software on your own computer. Why Are We The Best Website Copier? We also give away the first 10MB of data for free, which is enough for small websites and serves as a proof of concept for bigger customers. Download all images from a website. This only saves image files, such as .gif, jpeg/jpg and png. Scrape all video files. This is a custom setting that sends you all video files, such as avi, mp4, flv, mov, etc. 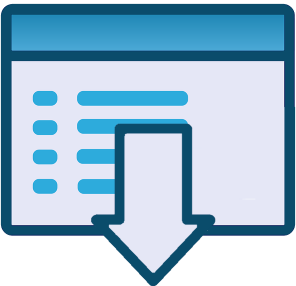 Download all files from a website with a specific extension. This is a custom option for an extra price, depending on the file size and scope of the project. A common request is to download all PDF files from a specific domain. It is also possible to use free web crawlers such as httrack, but they require extensive technical knowledge and have a steep learning curve. Neither are they web-based, so you have to install software on your own computer, and leave your computer on when scraping large websites. This means that you do not have to worry about difficult configuration options, or get frustrated with bad results. We provide email support, so you don't have to worry about the technical bits, or pages with a misaligned layout. Our online web crawler is basically an httrack alternative, but it's simpler and we provide services such as installation of copied websites on your server, or WordPress integration for easy content management. Some people do not want to download a full website, but only need specific files, such as images and video files. Our web crawler software makes it possible to download only specific file extensions such as .png, .jpeg, .flv, .mpeg4, pdf etc. For example, it is a perfect solution when you want to download all pricing and product specification files from your competitor: they are normally saved in .pdf files. It will save you the hassle of browsing their entire website! If your website was written in HTML - and didn't use a Content Management System - then this is also an excellent migration tool. Simply scrape the entire website and move all the html files to your new web host. We also have customers who like to create a "snapshot" of their website, similar to what the Wayback Machine does. A business owner - or lawyer from another party - might want to create a full backup of a certain website, so that he or she can later show how the website looked like in the past. In theory, the Internet Archive provides this service, but it rarely downloads a complete website. The Internet Archive also accepts removal requests and it is not possible to create a full backup at a specific time. You are basically limited to the merits of their algorithm. Our software provides an excellent alternative to freeze legal digital evidence, at your request, making us the best website downloader for legal cases. No matter which of the above problems you need to solve, our site ripper is there for you with powerful servers and free support during business hours.